When areas of the feet are placed under excessive pressure or friction foot corns and callus (sometimes written as ‘callous’) can develop. When the skin experiences increased pressure the body responds by producing areas of thickened skin. Although this is a normal process and our feet are designed to withstand it, it is when the pressure becomes too significant that symptoms arise. The most difficult part is that corns and callus can exist on their own, or in combination with other common foot problems, making self-diagnosis and self-treatment tricky. What is the Difference Between a Corn and Callus? Callus is also called and known as hyperkeratosis among podiatrists and other health professionals. Callus is hard and thickened skin that typically presents over a widespread area such as the ball of the foot and/or around the periphery of the heel. A callus is usually a thickening of the skin that is uniform. While most of the time callus does not cause pain, it may cause a burning sensation and/or be a cosmetic concern. Callus also gives podiatrists an indication of where patients with foot pain are placing excessive pressure on their feet and can help with their diagnosis and treatment plan. In some cases, excessive callus or hyperkeratosis can be an indication or a warning sign of poor health or a more complex underlying foot issues. Corns are also a form of hyperkeratosis. Corns, unlike calluses, are typically much smaller areas of hard skin that have a central nucleus. There are different types of corns including, hard, soft, seed, and neurovascular corns. Corns can cause mild to severe pain depending on the type of corn, where it is located, and how long it has been building up. Corns, like calluses, are caused by continuous pressure in a particular area. This may be pressure due to footwear, the bony structure of the foot, foot mechanics, or atrophy/ loss of the fatty padding underneath the foot. Corns may indicate abnormalities or deformities in the bony structure of your foot, or the way you walk. It is very important you do not self-treat corns or use any medicated pads as it can lead to injury, breakdown of skin, or infection. If corns are left untreated, they can progress, breakdown and cause wounds. It is very important to see an experienced podiatrist for treatment. Who gets corns and callus? Inappropriate footwear is a common cause of foot pain and pathology. When shoes are poorly fitted, it puts increased pressure on certain areas of the foot. That increased pressure leads to the build-up of foot corns and callus. Narrow pointy-toed shoes increase the risk of excessive pressure being applied to the outside edges of the foot. Shoes that are too narrow can cause the toes to be compressed and corns can develop between the toes, on top of the toes, and on the outer edges of the toes. Conversely, shoes that are too big can cause increased movement within the shoes, and therefore increased pressure areas across different areas of the foot, leading to the formation of a callus. People who have poor mechanics or gait often suffer from the development of corns or callus. People who have clawed or hammered toes are more likely to develop corns and callus at the tips of their toes on at the joints of their toes. Those who suffer from bunions are more likely to develop callus or corns due to the compensation in their gait pattern. Active people are more likely to develop corns and callus than those who are more sedentary as their skin will be subjected to more pressure and friction. This is no excuse to stop being active! It may just mean that you require treatment to keep your corns and/or callus controlled and asymptomatic. Different types of activity will cause callous to develop on different areas of the body. People with skin conditions (such as psoriasis) can be more prone to building up callus. Adversely, those people who get sweaty feet are more likely to develop soft corns between their toes. A high Body Mass Index (BMI) increases the amount of pressure on weight-bearing areas such as the heel and ball of the foot. This increase in pressure leads to the formation of corns and callus. There are four different types of corns: hard corns, soft corns, seed corns, and neurovascular corns. The most common corns are hard corns. They present as a dry mass of hard skin and have a hard central core. They are usually yellowish in colour and are accompanied by overlying callus. Hard corns are commonly found on the tops of the toes (especially on the little toes) and also under the ball of the foot. Hard corns that are found on the tops of the toes are most typically due to poorly fitting shoes and/or changes in the foot structure such as hammering or clawing of the digits. Soft corns are less common than hard corns but are still regularly seen and treated by a podiatrist. They present in between the toes, especially the 4th and 5th toes where excessive moisture may be found. Soft corns are often associated with interdigital fungal infections (tinea) and are often white. Again, like all forms of hyperkeratosis, they are the body’s response to excessive pressure. This may be due to footwear, foot mechanics, and/or a change in the bony structure of the toes/feet. Seed corns are corns that don’t necessarily present in areas of excess pressure. They can occur singularly or in a cluster and are generally very small and ‘seed’ like. This type of corn does not typically cause as much pain and discomfort as other forms of corns. Neurovascular corns are the least common form of corns but are extremely painful. They can be very problematic for both the patient and the treating podiatrist. A neurovascular corn has nerve endings and blood vessels wrapped around it which causes a lot of pain and bleeding. There are different treatment options for these types of corns as they are difficult and painful when being removed unlike the other forms of corns. Corn Removal: How do I treat or get rid of my corn / callus? WARNING: Self-treatment can be dangerous and cause injury, infection, or a wound. It is highly recommended you seek treatment from an experienced podiatrist for corn and callus removal. This is especially important if you are immunocompromised or diabetic. Being immunocompromised makes you more prone to infection. Being diabetic can result in a deficiency in feeling and a reduced blood flow. These two things in combination can be limb threatening. The use of medicated corns pad is also strongly discouraged. Medicated corn pads often have an acid in them which is designed to burn the corn out. However, it will not only attack the corn but the healthy skin surrounding it. This puts you at risk of developing a wound. To remove corns and callus effectively, quickly, and risk-free, it is important to see a podiatrist. What is the short-term treatment goal for corns and calluses? The great thing about corns and calluses is that they are treated effectively and quickly by a Podiatrist. Proper foot corn removal by a podiatrist results in immediate pain relief. Corns and calluses are treated by sharp debridement and enucleation. Put simply, a sharp instrument, known as a scalpel, is used to gently scrape off excessive calluses and remove the corn. This is typically a pain free process. Occasionally a dressing will be applied following the removal of a corn if the skin is fragile or broken down, or if there is a risk of infection. What is the long-term treatment goal for corns and calluses? The long-term goal for the treatment of a callus is to address the underlying cause. This means, addressing the cause of excessive pressure! To address the re-occurrence of corns, we need to determine and address the cause of excessive pressure. This may be footwear, foot mechanics, or change in the bony structure of the foot. There are different ways to address these issues. Padding may be used to offload certain areas and re-distribute pressure from one area to another. These pads are devised and specifically designed by your podiatrist. Footwear education may be provided and new, more appropriately fitting shoes encouraged. In some cases, orthotics may be used with appropriate padding to re-distribute pressure. What will happen if I ignore my callus? If corns and calluses are ignored, there is a risk that the excessive pressure will cause the deeper levels of skin to breakdown. The breakdown of the deeper levels of skin can result in wounds and/or ulcers and can be a serious cause for concern especially in diabetic patients and those who are immunocompromised. The treatment for a wound or ulcer is much more complex and outcomes can be less desirable especially if they become infected. It is important people regularly check their feet as corns and other skin changed may not be felt in some people until they are well advanced. How often do I have to see a podiatrist for treatment of my corns? How often treatment for corns and calluses is required depends greatly on the individual, how much time they spend on their feet and where the corns and callus are located. During your initial appointment, a general guide for review a period will be determined, and adjusted in the future once the podiatrist assesses your individual situation. If you’re in the Melbourne area, drop by our Prahran Podiatry Clinic in Prahran High St. Our Podiatrists are waiting to assist you. Sum of Us is a health and wellness studio in Prahran that combines the science of modern physiotherapy, podiatry and health care, with the beauty and aesthetics of a luxurious, nourishing environment. 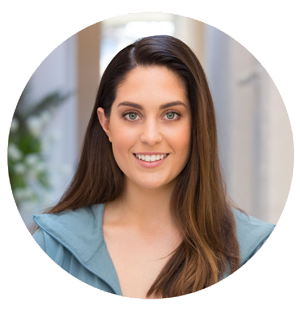 Stacey is a motivated and enthusiastic podiatrist who graduated from La Trobe University. She has experience in a wide range of both public and private practices across Adelaide and Melbourne. Stacey has developed a strong interest in the diagnosis and management of injuries related to lower limb biomechanics in all types of patients, from the “weekend warrior” to the elite athlete. She enjoys all aspects of podiatry including heel pain, sports-related injuries, ingrown toenails, and paediatric care, and prides herself on developing long-term relationships with her patients. Outside of work, Stacey enjoys a wide range of sport, especially AFL and is a big supporter of the Richmond Football Club where her husband has recently retired from playing. She is passionate about all types of dance after spending more than 10 years competing in Dancesport around Australia and performing internationally.